Hanley’s River Snail is a freshwater snail that was once common and widespread in the Murray River catchment, including the Lachlan and Murrumbidgee Rivers. They are now virtually extinct throughout their natural range and living specimens have only been found from within irrigation pipelines in South Australia and Far South-West NSW. 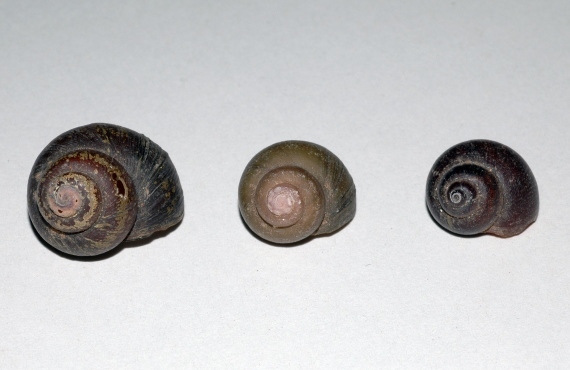 Hanley’s River Snail is a medium-sized (20-25mm) freshwater snail with a round shell that ends in a conical spire. Hanley’s River Snail can be confused with various other freshwater snail species, particularly Notopala sublineata. Prior to recent genetic and morphological analyses, Hanley’s River Snail and three other species of freshwater snails were considered to be subspecies of Notopala sublineata.